Chris James, internationally acclaimed singer, musician and voice teacher, believes that we all have a natural, beautiful voice. Having been a Buddhist monk, he is also very aware of the power of mindfulness and is firmly convinced that singing is a pathway to mindfulness. He teaches singing around the world at events large and small, as well as provides one-on-one coaching. Chris reminds us that our bodies are a natural resonator and all we have to do is to relax and breathe naturally and we can learn to find our natural voice. Expression is so much a part of our daily lives – we talk to our family and friends, attend meetings, present information and interact with our colleagues at work. Through singing we can learn to express ourselves truthfully – to get in touch with our real selves, our natural expression. In this way, we “find our voice” and open our hearts to beauty, nature and connectedness. Unfortunately, we all have to manage the “chatter” in our heads – the negative thoughts that we tell ourselves about our ability to sing. Some of these originate within ourselves, others from our pareants, siblings or our friends who remind us that we cannot sing. We have to let go of this chatter and the “narrative” that constrains our thinking, our lives and our true potential. Chris James believes, like Jon Kabat-Zinn, that we have to learn to get out of our heads, our endless cycle of thoughts, and learn to “inhabit our bodies”. When we become grounded in our bodies through voice, we are able to realise more of our potential and experience calm, clarity and creativity. 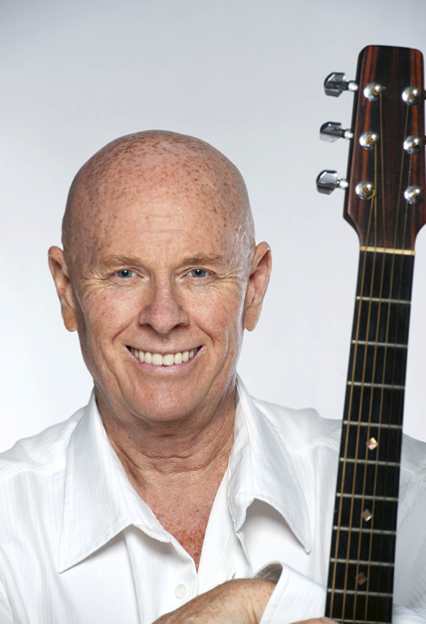 Over the past fifteen years, I have attended many singing workshops conducted by Chris James – ranging from half-day workshops to a two week residential in Lismore. I am continually amazed at what happens when people learn to be still, to “let go of what they are not” and to relax into their voice – what happens to the quality of their voice and the way they express themselves with new confidence and excitement is truly amazing. You can see from the following YouTube video of Chris James leading a “Big Sing” in Byron Bay, that people start off singing very tentatively and as they relax, they begin to open their mouths and sing freely. The result is a beautiful natural choir of people, many of whom had never met each other before this event. Chris James has developed a community choir in Lismore that anyone can join, singers and non-singers alike. There are no auditions and no set vocal parts. Choir members are encouraged to harmonise spontaneously at different times. The opportunity is there to find your own beautiful voice, to become grounded in your voice and grow in mindfulness in your expression.